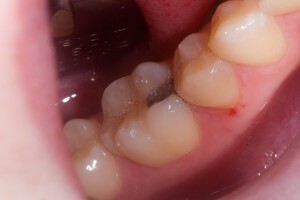 This lady had decay under an old silver filling, causing the edge to appear very grey in colour. 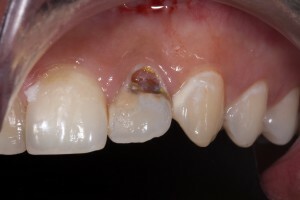 The decay was so extensive, that it had extended towards the middle of the tooth. 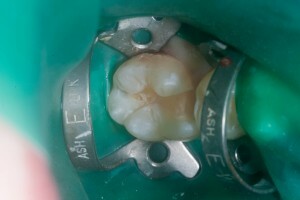 Before removing the silver filling and surrounding decay, the tooth and mouth was protected by placing a green rubber dam around it. 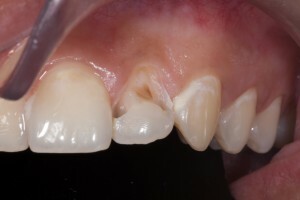 Once the tooth was free from decay, it was filled with the latest tooth coloured (composite) filling material. The material that we used was chosen because it has high aesthetic results through excellent colour adaptation and polishability. 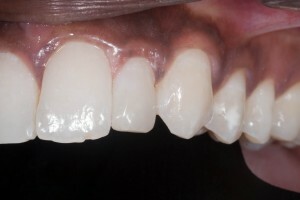 The patient was delighted with the result. The greyness around the edge had gone and there was no more unsightly black filling. 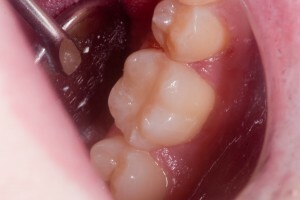 This entry was posted in Cosmetic, Dentistry, Share This Post and tagged Tooth coloured filling material, tooth decay, white fillings on 22 February 2013 by Dr Nishan Dixit. 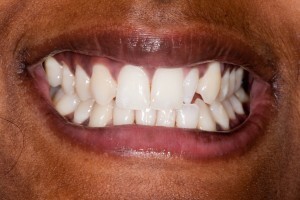 This young lady did not like the shape and appearance of her peg tooth, as it was very visible when she smiled . She was going away and wanted something done as quickly as possible. 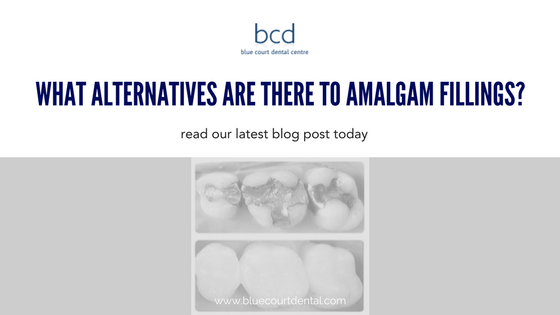 We decided to do some composite bonding, as this was the quickest and least destructive option to achieve the desired effect. 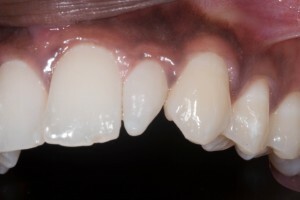 A tooth coloured composite material was used to change the shape and appearance of her tooth and the colour was matched to make her new tooth look as natural as possible. 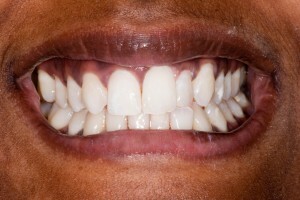 She is now able to smile with confidence. 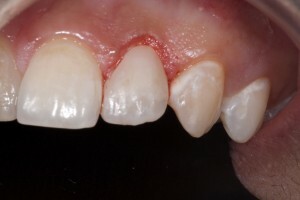 The patient was very happy with her new tooth. 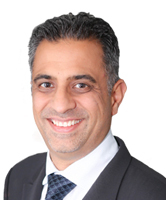 This entry was posted in Cosmetic, Dentistry, Share This Post and tagged Bonding, Composite bonding, white fillings on 11 January 2013 by Dr Nishan Dixit.